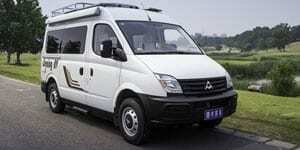 If you looking for free car removals service providers in Melbourne? Then we can assist and help you. We offer free car removals service in all suburbs of Melbourne. In fact we are cleaning Melbourne from all scrap, used, old, junk and damaged vehicles. We offer free pick up and removal service for all cars, vans, trucks, buses, 4wds and SUV. IF you want to get rid of your unwanted truck just call us. We are providing free car removals service in Melbourne from last 15 years and we don’t charge our customers for any of our service. No worry if you want to remove your used car, accidental car, damage car, Junk car, old car or car in your scrape. Don’t you worry we are here for serve you. In order to remove your car for free, you just need to contact us. Just give us your phone and address with all of your vehicle details and we’ll do it for you. Sometimes we also offer cash for trucks in Melbourne because of their higher value. But in fact we the free old car removals in Melbourne who pick up and remove cars, vans, trucks from your garage or parked at side of the road. 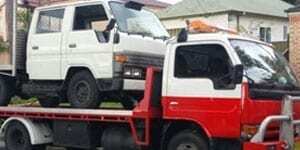 Even if your car is scrap then we also offer free scrap car removals Melbourne service. Step#1 You will contact our representative. Step#2 Tell briefly detail about your vehicles. Step#4 Tow truck will remove vehicle from your property. Yes we pay 100% high rate for cash for car in Melbourne. So whenever you want to sell your car must take rate we are sure we will give you best price for this even we give you guarantee for highest amount in Australia. No one code best price as we code. If you have entirely new car, old car, accidental car, damage car, whatever vehicle type like Car, Trucks, Utes, 4wd Van or any of brand like Toyota, Honda, Mitsubishi, Mazda, Nissan, BMW, Subaru, Peugeot. We Provide Car Removals Service Absolutely Free ? Yes we provide car removal services absolutely free no any hidden charges or services charges . Just call our representative 03 8707 4699 Or 0431 403 630 we book your visit time. This is approx 2 hours and may be early so just give us your precious time. We offer in new car, old car, accidental car, damage car, whatever vehicle type like Car, Trucks, utes, 4wd Van or any kind of brand like Toyota, Honda, Mitsubishi, Mazda, Nissan, BMW, Subaru, Peugeot.